Thérèse Bugnet’ bears clusters of pointed, deep pink buds in spring, that open into bouquets of large, ruffled, double flowers of bright lilac-pink with white margins. After a prolonged first flush of flowers, follows a modest second flowering almost until the end of the growing season. Exceptional for a rugosa is that the stems are almost thornless. 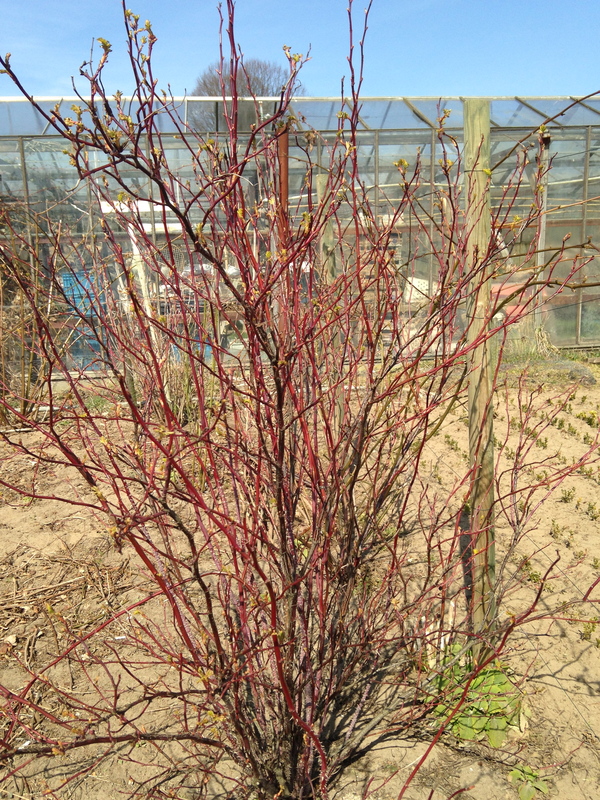 ‘Thérèse Bugnet’ has beautiful bronze foliage in spring, dark yellow foliage in autumn and the stems turn bright red in winter. The parentage of this rose is complex and includes two forms of R. Rugosa and acicularis. 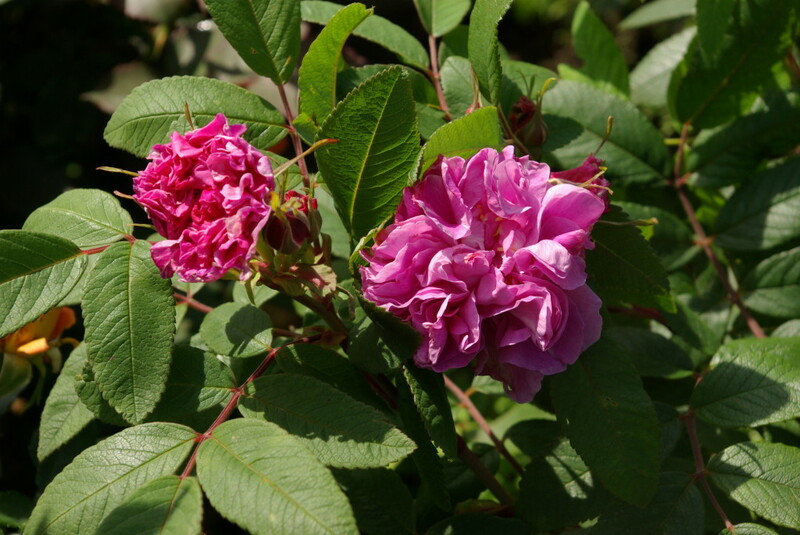 With her rugosa blood this Canadian rose is very healthy, easy and extremely hardy. A tall growing bush to 2 meters. Georges Bugnet (1879-1981) is one of the major French writers of Western Canada. During a life which spanned 101 years he published four novels in addition to short stories, essays and poems. Bugnet, born in France, emigrated to Canada in 1904. An interest in botany lead Bugnet to experiment with plants that would thrive in the northern Alberta climate. A double wild rose from Russia was crossed with the Alberta single variety to produce the famous Thérèse Bugnet rose, named after his sister. Bugnet became a knowledgeable horticulturalist and contributed to the development of plant species in Alberta. In his honour the provincial government named a forest reserve the Bugnet Plantation Historical Site. If any rose species ever deserved the label “easy”, surely it is the hybrid rugosa roses. The ancestor of this class is a central Asian species, Rosa rugosa. This is a rose that can withstand Siberian winters and temperatures as low as -45°C. The best rugosa hybrids have inherited not only their wild ancestor’s hardiness but also its glossy, furrowed foliage.